Item001 - Survey between Rous Head and Perth by George Smythe, sheet 3 [Tally No. 005110]. Item002 - Survey between Rous Head and Perth by George Smythe, sheet 5 [Tally No. 005111]. Item003 - Swan River, by George Smythe near Peninsula farm [Tally No. 005112]. Item004 - Swan River, sheet 1, by R. Clint [Tally No. 005113]. Item005 - Swan River, sheet 2, by R. Clint [Tally No. 005114]. Item 001 - Survey between Rous Head and Perth by George Smythe, sheet 3 [Tally No. 005110]. 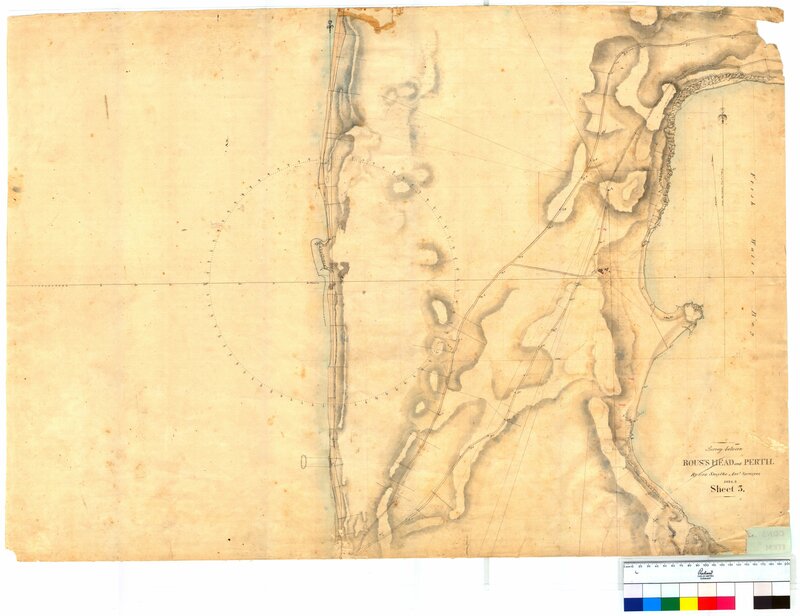 Confirm Item Request: Survey between Rous Head and Perth by George Smythe, sheet 3 [Tally No. 005110].